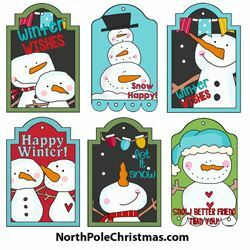 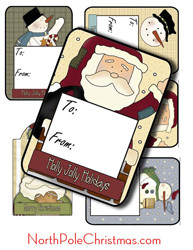 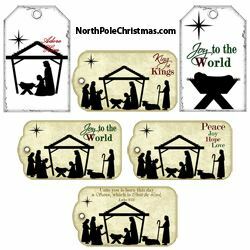 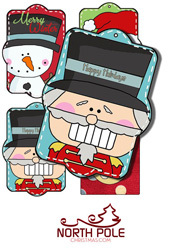 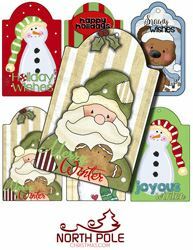 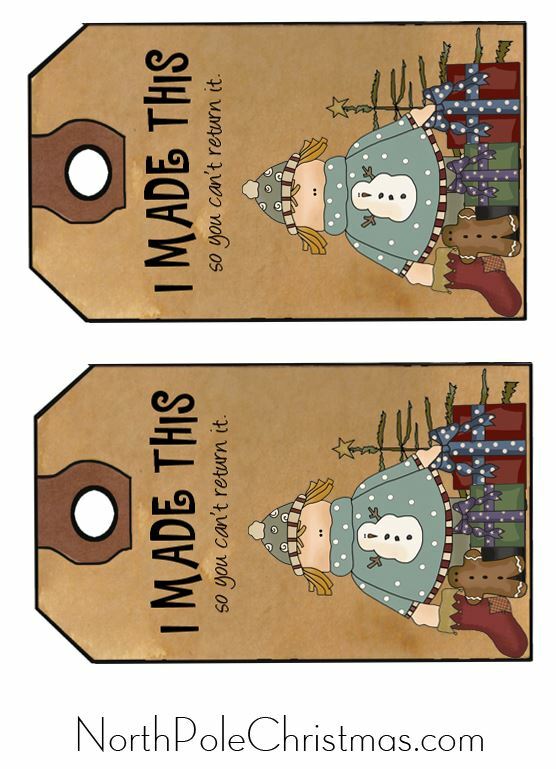 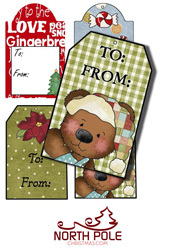 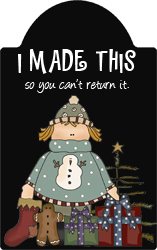 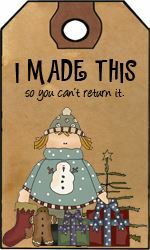 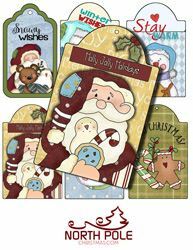 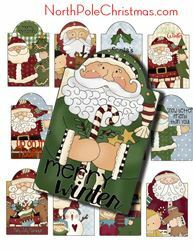 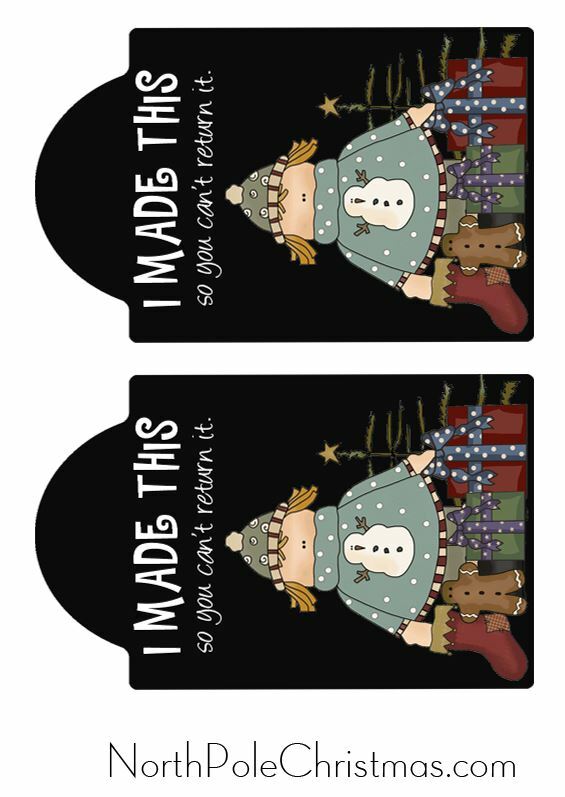 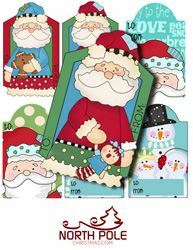 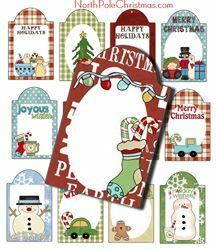 Christmas tags - What fun you'll have embellishing packages with this collection of Christmas hang tags. 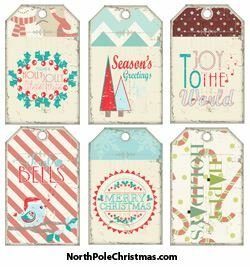 Plain tags can adorn items you sell at holiday bazaars, or add them to gifts from your kitchen with a brief description. 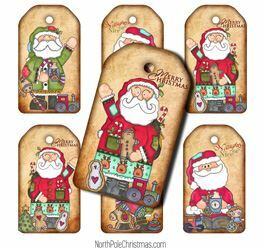 Add jute or ribbon and use as Christmas gift tags. 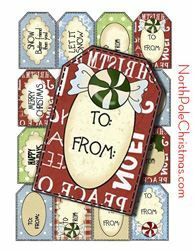 Simply punch a hole near the top of the tag and use jute, ribbon, twine or raffia to tie them to your parcel. 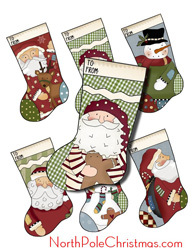 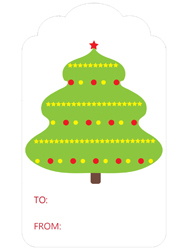 You'll add holiday cheer to all your holiday packages, and they're simple to print out on any color printer.